The girls lived in a Harlem housing projects and would sing in the hallways of their building and downstairs in the playground. Schoolmates (aged nine to eleven) they began singing in the glee club in 1955. They formed the Harlem Queens and began by doing local amateur nights. Over the next two years the octet shrunk to a quintet and were spotted by record producer James Dailey, who quickly became their manager. He felt "The Harlem Queens" was not appropriate and changed the name to the Bobbettes. The group was made up of Reather Dixon (lead singer 1945-2014), sisters, Jannie Pought (1945-1980), Emma Pought (second lead born 1942), Laura Webb ( tenor 1941-2001), and Helen Gathers (alto 1942-2011). After performing at the Apollo 's amateur night, they were signed to the Atlantic Record Label and released the self-penned ,"Mr. Lee," in 1957. Mr Lee was one of their school teachers the girls took a dislike to and wrote a song which was less than flattering. Atlantic's A&R executives asked them to revise their lyrics to make it more commercial and less controversial. "Mr. Lee" became the best known teacher in America as the record went Top Ten in July 1957. "Mr. Lee" also, spent for weeks at the top of the R&B charts. The Bobbettes were the first girl group in the US to have a cross over hit. The song was later covered by Diana Ross on the European version of her 1987 album Red Hot Rhythm & Blues. Chart success ensure their popularity and they toured with Clyde McPhatter, Ruth Brown, Dion & The Belmonts and Frankie Lymon & The Teenagers. Unlike many of their contemporaries the girls wrote ten of their first eighteen recorded songs but when the group wanted to record "I Shot Mr. Lee" Atlantic refused to release it as a single and released "You Are My Sweetheart", instead. The doo wop ballad failed to chart. 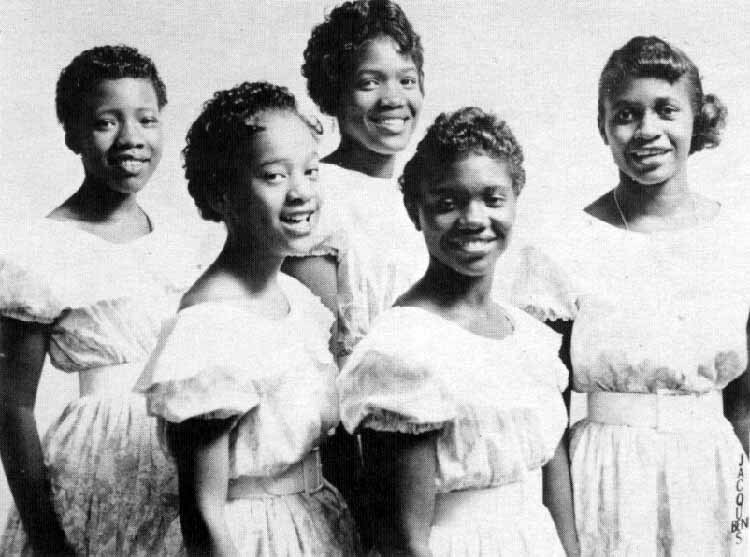 The Bobbettes left the Atlantic label and signed with Teddy Vann. The record was a minor hot on the Triple X label and Atlantic was eventually forced to release their own version of the song. More success followed with a version of the Domino's "Have Mercy Baby" b/w "Dance With Me, Georgie," a re-write of Etta James’ "Roll With Me Henry," and "You Belong to Me." In 1960 The Bobbettes moved to the Gallant label and recorded Eddie Fisher's "Oh My Papa," later with End Records they had a small 1961 hit with "I Don’t Like It Like That," an answer to Chris Kenner's "I Like It Like That." This was the girls' last chart-topper but they continued to record for a series of record labels, including Diamond, RCA Victor and Mayhew. When Helen Gathers left the group in 1962, The Bobbettes continued to record as a quartet for several labels. They sang the prominent background vocal on Johnny Thunders' huge 1962 hit, "Loop De Loop," and in 1964 recorded "Love That Bomb" (as Dr. Strangelove and the Fallouts) for the soundtrack of Stanley Kubrick's classic, Dr. Strangelove. The Bobbettes moved record labels six times in five years, which was primarily a rouse by their manager to make more money. Their longest stay after leaving Atlantic was at Diamond Records, where they recorded six records. "Teach Me Tonight"was released when they moved to End Records and their last charted single was "I Don't Like It Like That." (Gone Records). The Bobbettes remained together and toured the United States and England before disbanding in 1974. Jannie Pought died in 1980 after she was fatally stabbed by a stranger in New Jersey. Laura Webb passed away in 2001. The original lead singers, Emma Pought (Patron) and Reather "Dimples" Dixon (Turner) continue to perform as The Bobbettes with Debra Thompson and Pamela Tate.